There is no doubt that DMV is one of the busiest and slowest government facility in United States. 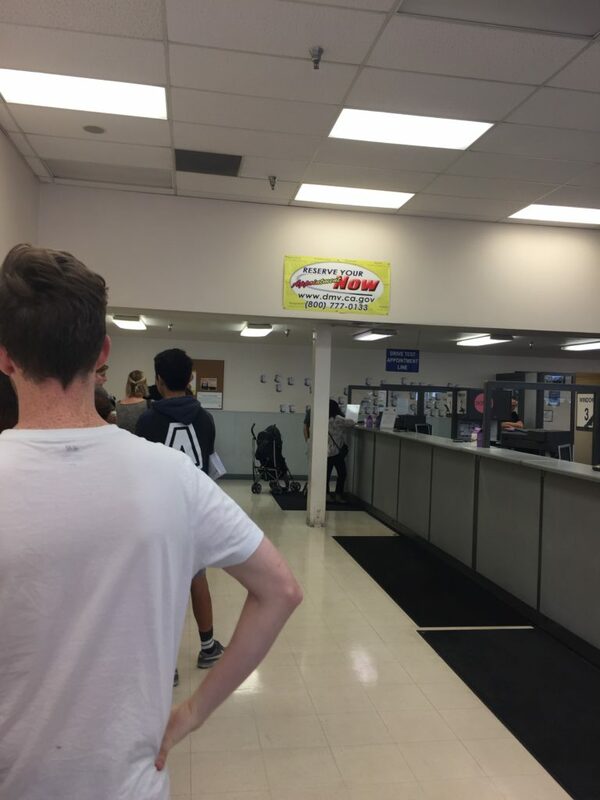 While United States has the biggest country in the world in terms of economy, military and so on, people really wonder “Why is DMV so slow”? 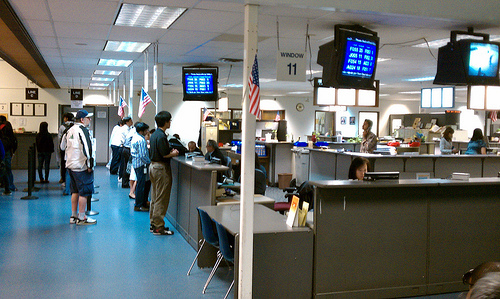 DMV’s cumbersome structure is so notorious that even in some animation movies; DMV staff is pictured as “Sloths”. Most people prefer to visit DMV instead of doing online. This is one of the reasons why DMV offices are so busy and why is DMV so slow. While you can do many things online or by phone, some people to prefer to visit the office to be on safe side. But who can blame them? DMV’s official website is really to complex and not user friendly. You have to be an expert to find what you are looking for. 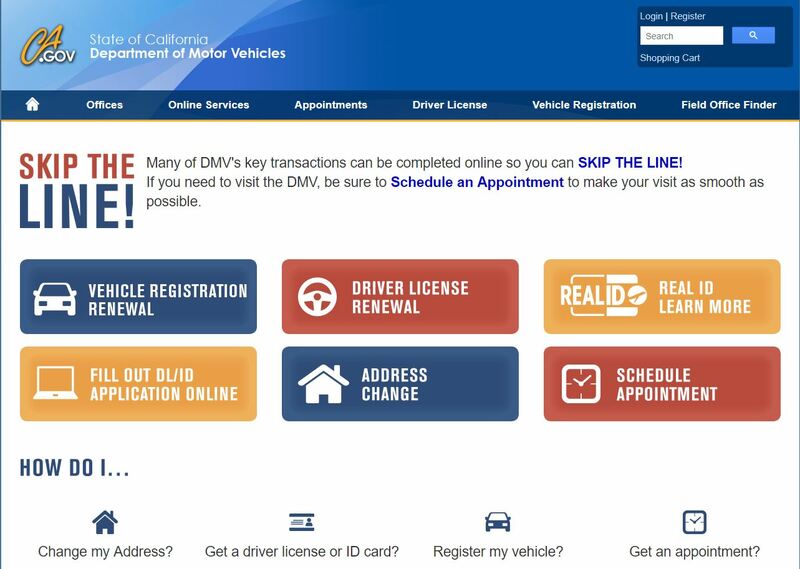 They might heard the complaints, recently they have updated DMV website. 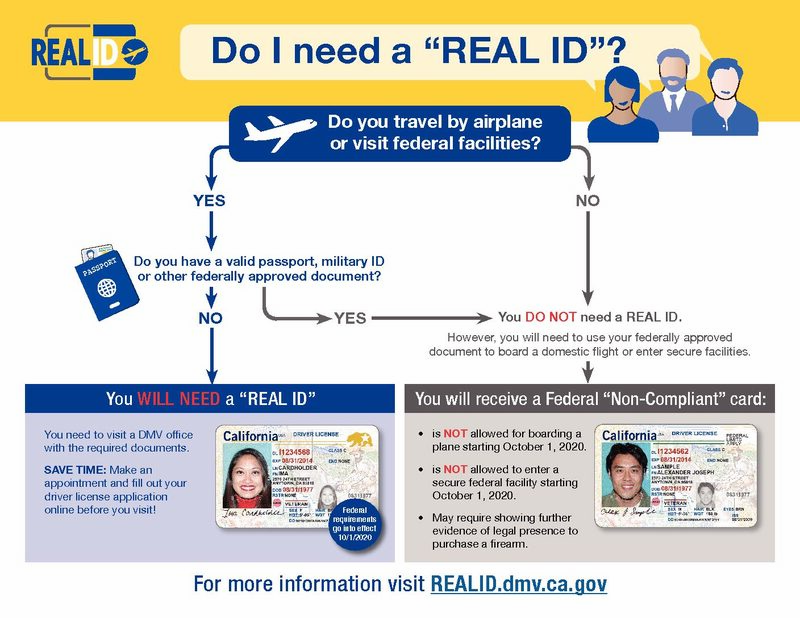 They even to start put some info-graphic for people who wants to get Real-ID. Check this one. Despite these efforts, website is still confusing after a second click. They have to update internal pages too. A cosmetic change on the main landing page is not enough. Maybe they have to allocate some money for marketing so that they can inform elderly people not to visit DMV office. This is one of the other reasons why is DMV so slow. But who can blame people who bring wrong documents or wrong information. It is really find a proper information on DMV website even though you are an website expert. After waiting long hours in the lines, because of missing document, people can’t complete their application. DMV can find a solution to check people’s document while they are on the line. So if something is missing, people shouldn’t wait in the line for nothing. Why is DMV so slow? Because many offices lack the personnel to quickly and efficiently handle large crowds. 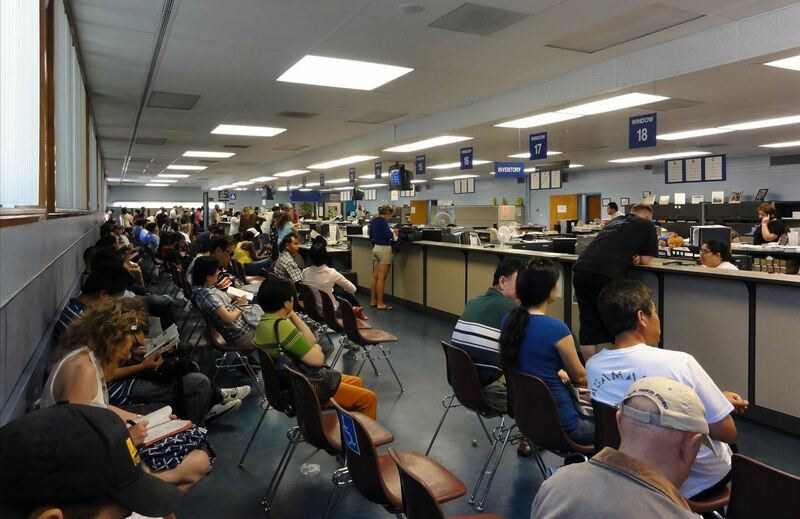 Is this DMV’s fault or governments fault? There are elder people in the lines standing all day long. No one in the government ever see this scene. Or many counters are empty because maybe somebody is taking a vacation or calling in sick. Solution is to hire more people. What is the government doing with taxes? In most states, the majority of adults are licensed to drive and between new licenses, renewals, replacement licenses and testing nearly every adult in any given state goes through their office at least once every few years. In some cases people go to the offices every year. Again who can blame them? This is a crappy job. Most of government jobs are low paying, high stress and have no promotion prospects. Also they give poor service because there is nothing to pressure them to give good service. Private sector salaries are much higher than government jobs. DMV can’t afford to hire talented people and can’t compete private sector. Maybe government should privatize DMV offices. Why not? Due to security reasons, Driver Licenses all over the USA are changing starting 22 of January, 2018. This new licences are called “Real ID”. So if you encounter long lines these days in one of the DMV Offices, most probably this is because of massive REAL ID applications. 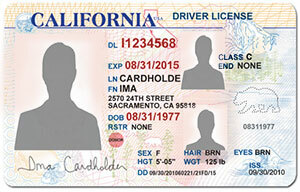 Don’t go to DMV without reading California Real ID checklist. It is very important. What must you do to get Real ID? You can start by checking the requirements. Certified copy of U.S birth certificate (issued by a city, county, or state vital statistics office). U.S. certificate of birth abroad or consular report of birth abroad of U.S. Citizen. Unexpired foreign passport with valid U.S. Visa and approved I-94 form. Certificate of naturalization or certificate of U.S. citizenship. Valid/unexpired employment authorization document (EAD) Card (I-766) or valid/expired EAD Card with Notice of Action (I-797 C). W-2 form with full SSN. Pay stub with full SSN. 3. Proof that you live in California. Bring at least TWO of the documents with you. I recommend to bring two utility bills. Internal Revenue Service or California Franchise Tax Board tax return. Change of Address Confirmation by the U.S. Postal Service. Proof of payment of resident tuition at a public institution of higher education in California. Court documents that list the applicant as a resident of California. California certificate of Vehicle or Vessel Title or registration. 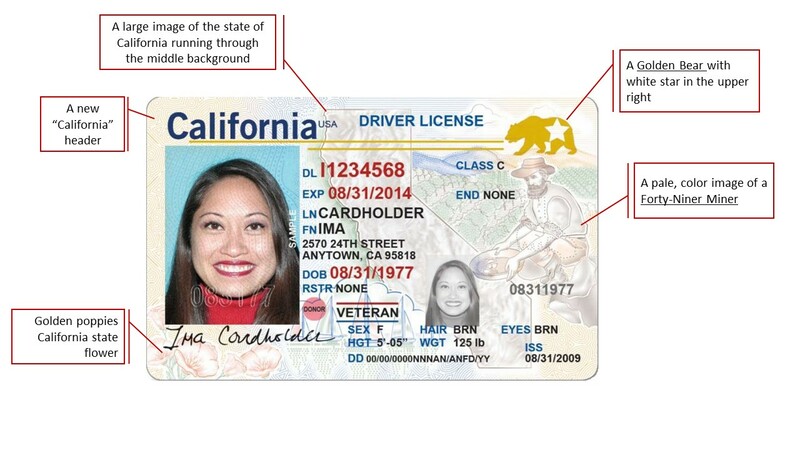 If you complete California Real ID Checklist, it is time to see the differences between current driver license and Real ID. A golden bear with a white star in the upper right– all REAL ID licenses must have this white star to show they are compliant. A pale, color image of a forty-niner miner with fruit orchards and mountains on the right side. Golden poppies (California state flower) in the lower left under the photo and sailboats to the right of that. A large image of the state of California running through the middle background. A new font for California header at top. You can see Golden Gate Bridge and Coit Tower under UV light. 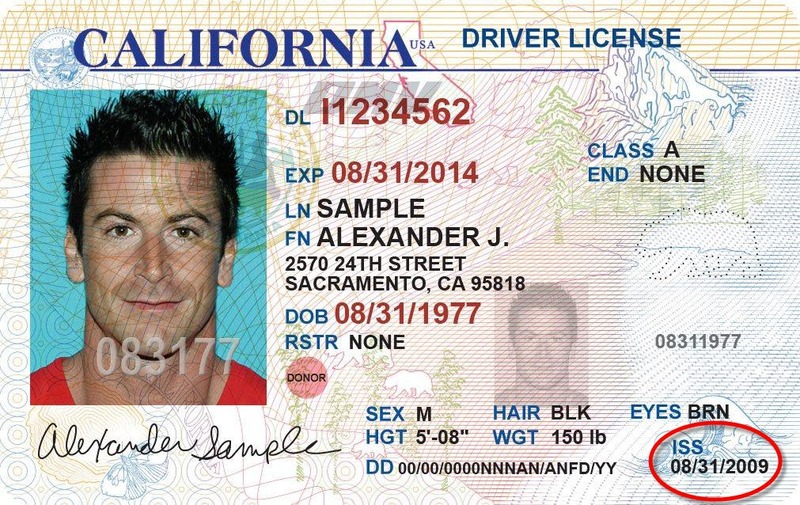 Below is an image of the current, but soon to be dated California Driver license. 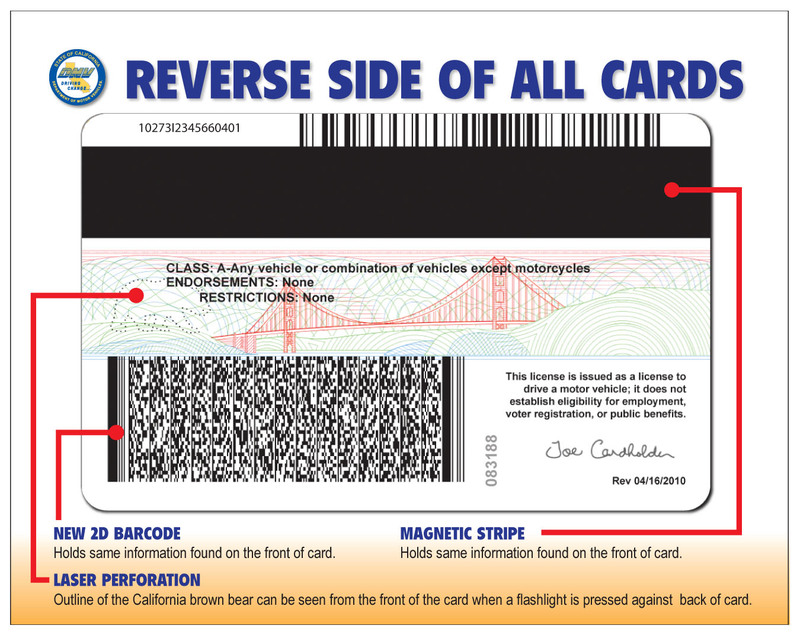 California DMV License Renewal is an important change. There is no need to rush into a DMV field office. You can use a valid California driver license or ID card to board a commercial flight or enter secure federal facilities until October 1, 2020. The California DMV will provide a federal compliant REAL ID driver license or ID card as an option to customers beginning January 22, 2018. If you have a U.S. Passport, passport card, military ID, or another form of Transportation Safety Administration (TSA) approved identification, these documents will still be accepted to board an airplane. Federally compliant identification will also be required to access military bases and most federal facilities. The federal REAL ID Act of 2005 was passed in response to the events of 9/11. For more on the REAL ID Act, visit the Department of Homeland Security website. If you are an international student who are currently in United States, you must formally apply to get a driver license. But things may be complicated if you don’t know the procedures. Different states may have different rules. Keeping in mind this possibility, we’ll outline the general process to get an international student driver license quickly and with ease. 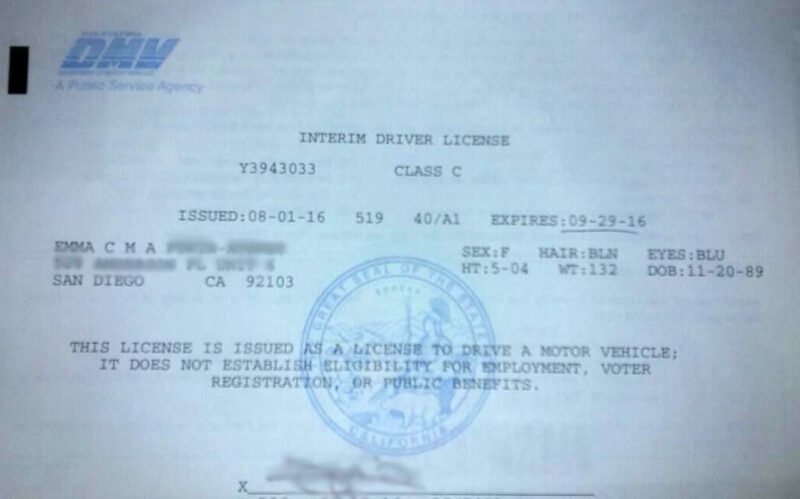 In California, to get an international student driver license is somewhat easy. First of all, you have to get an appointment from your DMV office. There are two ways of getting an appointment. By phone or by applying on DMV website or simply by going to nearest DMV office. Each year, millions of people apply to get a new driver license or to renew their driver license. This means chances are; if you go to a local DMV office, you’ll at least wait 4-5 hours to start your process because there are always long lines in front of DMV offices. Tip: Check less populated areas nearby and try your chance by visiting the office early in the morning. Here is a list of all DMV offices in California. If you apply on the internet, you’ll not get your appointment in 2-3 weeks time. 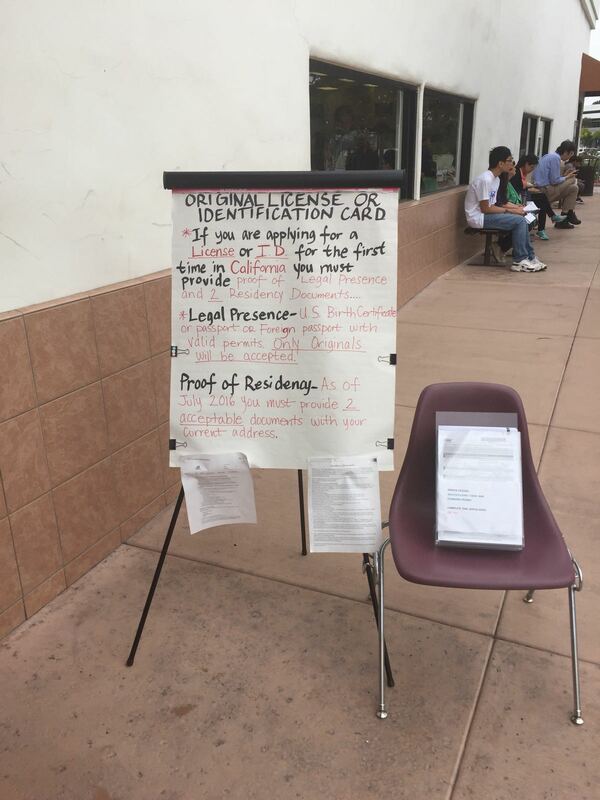 Don’t forget that DMV works very slowly in California. You have to prepared for your appointment. So with this document, you’ll fill an application form in DMV office. If you have your international driver license, bring it with you too. DMV officer will examine your eye-sight first. After this, they will take your photo. Don’t forget that this photo will be the same photo on your driver license. If you are someone who cares his/her personal look, better get prepared before taking a photo. You have to take the written test. Written tests are available in most languages online but not all of them. You can choose to take the written test in your native tongue. If you are lucky, you’ll take a computer test, if not you’ll get a paper based test. Never trust your driving abilities. Because some rules may be different than your home country. So better work hard before taking the written test. After the written test, you need to take another appointment for actual driving test aka behind the wheel test. Whether you are a fantastic driver or a formula-1 racer in your home country, you have to get prepared for driving test if you want to take the test in your first attempt. Most people do not pass the test in the first attempt. DMV officers in California take it very seriously and if they sense that you are new in the country, chances are you’ll fail in the first attempt. So practicing the test route might be a good starting point. After you pass the test, they give you a “temporary driver license”. This is basically half A-4 size printed document with no photo on it. You have to wait a couple of months to get your actual driver license. 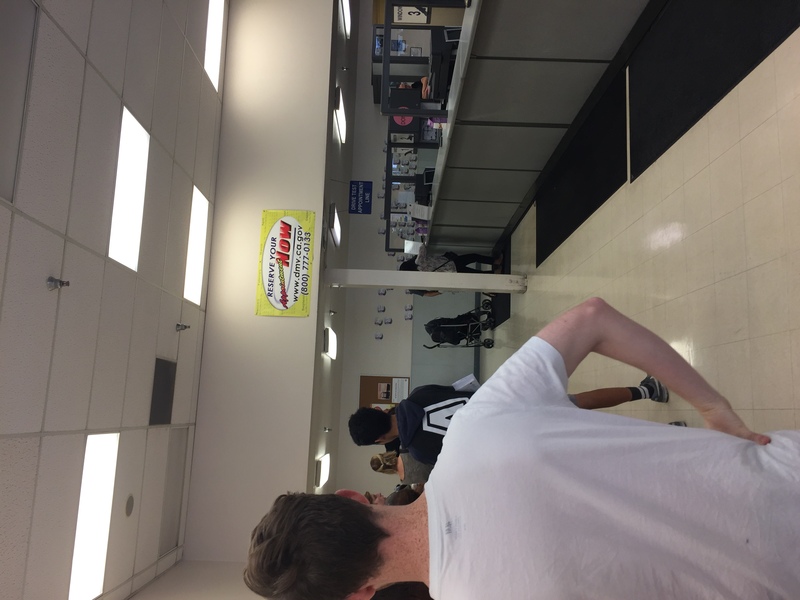 Because you are an F-1 or J-1 student who wants to get an “international student driver license”, your information goes to DMV Center in Sacramento and to Homeland Security of course. If you have a very common name or a name that may resemble to some people who are involved in suspicious federal activity, the duration of getting your driver license will be much more than you expect. In fact, it may take several months, even 6 to 9 months at best. Meanwhile, your temporary license only has 3 months valid period. This means if you didn’t get your real driver license, your temporary license will expire and you have to go to DMV to renew temporary license. You can call DMV to track your application status. But as I said earlier, DMV works at the same speed of a turtle. You have to be very patient because wait time for most calls is around 30-40 minutes. In some instances, even if you are lucky to enough to talk to a DMV officer, they may forward to another phone number which deals with international student issues. So be patient again. Because wait time is still not less than 30 minutes. 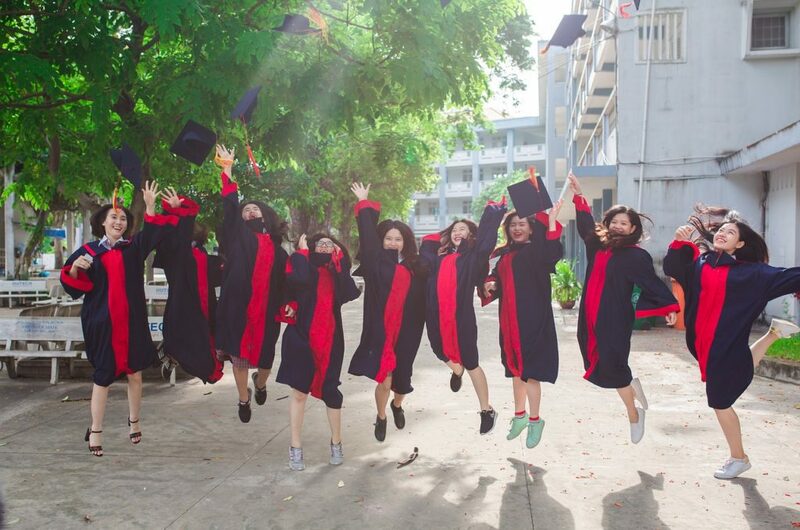 When you get your driver license, you can be disappointed because the expiration date of international student driver license is very limited. If you take a certificate program, your license will not be valid more than 1 year. If you are on OPT after your program, you may want to renew your driver license. OPT Students have different procedures for renewal. Because you are on OPT, you need to show your SSN and EAD Card (Work Permit Card) to DMV in order to renew your license. Otherwise, DMV will not approve your renewal. As I said at the beginning, different states have different rules. What I have told so far is basically for students who are in California. For instance if you live in Pennsylvania, DMV will ask Social Security Number. If you are not eligible for a SSN yet, then you have to get a letter from the Social Security Office that says you are not eligibile for SSN. This is not true for California. DUI which stands for Driving Under Influence is one of the common reason that may lead to lose your Driving License, more importantly the consequences might be harsher. If you get caught while Driving Under Influence, you can involve a car crash that may cause death or fatal injuries. Also you can be jailed up to 1 year at least. So it is important to know DUI California Limits. It is completely illegal to drive with a Blood Alcohol Content of 0.08% or more in California. This limits vary for commercial drivers and drivers under 21 years old. If you are a commercial driver, limit is 0.04% and for drivers under 21, it is 0.01% only. If you live in California and you are not sure about the DUI limits, here is a table. 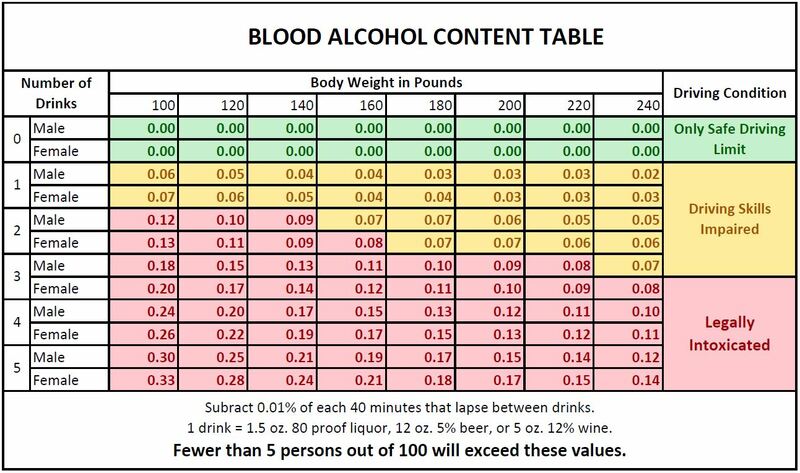 The table shows how alcohol effects drivers, based on gender and weight. Other than gender and weight, number and strength of drinks, the time period that you take the drink or certain medical conditions may affect the body. To be on the safe side, it is better not to drive a car even if you think that you drink in safe limits. If you get caught by police officers, because of California’s implied consent law, you have to take a Blood Alcohol test. This may be either a blood or a breath test. You have discretion to choose any of them. If you refuse testing, you may face a license suspension but also you have to pay $125 fine. You must at least be 15½ years old to be eligible. If you are under 18, you need your parents or guardians approval. You can then get an appointment from DMV website or you can visit the nearest local DMV office. If you want to get the driver license a.s.a.p., visiting local DMV office is a much better choice hence if you try to get online appointment, DMV will arrange an appointment 2-3 weeks later at earliest if you are lucky enough. You need to fill out “Driver License or Identification Card Application” aka DL 44″. There is no option to fill this card online but you can call DMV and order it by mail or you can fill it out when you visit local DVM office. Too see a sample of DL-44 card, click here. You have to pay application fee which is $ 33 for non-commercial class c California Driver License. Click here for all other Driver License/Identification Card Application Fees. If you are under 18, you’ll take 46 questions, if you are over 18, then you’ll take 36 questions. You need to to score 85 over 100 points in order to pass the test. If your native language is not English, you can take the test in your mother tongue. Amharic, Arabic, Armenian, Cambodian, Chinese, Croatian, French, German, Greek, Hebrew, Hindi, Hmong, Hungarian, Indonesian, Italian, Japanese, Korean, Laotian, Persian/Farsi, Polish, Portuguese, Punjabi, Romanian, Russian, Samoan, Spanish, Tagalog/Filipino, Thai, Tongan, Turkish, and Vietnamese. You must provide at least 2 documents to proof your residency in California. Your lease contract, your home utility bill, your school or employment documents may proof your residency. DMV officials check your vision and if you are qualify, you are ready for the test. If not, you can be guided to use eye-glasses. Go to the local DVM office as early as possible. After you fill out the application form and pay the fee, you’ll take the written Driving Test. To test yourself click here. If you pass the test at your first try, DMV officials will take a photo of you. If there is nothing suspicious related to your documents (Such as F1 visa requirement etc. ), you’ll get your license in 2-3 weeks by mail. It may take up to 3-4 months because of other security checks. DMV will give you a temporary permit till you get your original driver license. You also have to take on wheel driving test. After you complete test, you need to take another appointment for behind the wheel driving test. You can set the appointment online. Click here for online appointment. There are some tips and trick not to fail behind the wheel driving test. Click here for the tips.